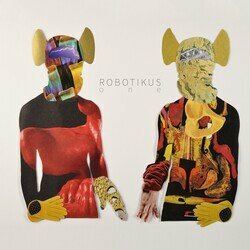 Robotikus are an Australian electronic duo consisting of Adam Kleist (Vocals) and Scott Targett (producer/instrumentalist). The pair first met in Melbourne following the conclusion of Targett’s electro/rock band (Dukes of Windsor) and soon found themselves collaborating on tracks conceived by Targett while living in Berlin the previous year. This track pops! A fun, soulful and catchy pop song that we challenge you not to move to! Big production, big vocals and a catchy melody that will hook you in.